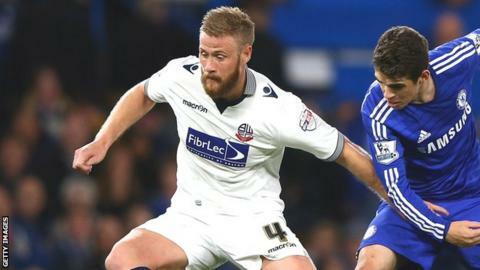 Nottingham Forest boss Dougie Freedman has ruled out a move for Bolton Wanderers centre-half Matt Mills. The Scot told BBC Radio Nottingham he was not interested in signing former Reading and Leicester defender Mills, who is out of contract in the summer. Freedman worked with the 28-year-old when he was Bolton manager. "Matt Mills is a very easy story; he is a free transfer and I have worked with him before. But it's a false story," Freedman said. "I am in the market for a centre-half and he is somebody I admire and is a good guy but I have a wider range in my recruitment team to pick from."